In good health, human iron metabolism is a beautiful symphony orchestra of events. Like most metabolic functions in the body, we strive for balance with iron– not too little, not too much. Our bodies have a wonderful array of mechanisms to regulate how much iron we have in our blood stream, in our cells, and stored away for future use. When we require more iron, we increase iron absorption from our foods and we increase the affinity of certain binding proteins so we can more efficiently use the iron we have. When we have too much iron, our digestive system gets very finicky about how much iron it lets into our circulation. In this complex, yet delicate, feedback loop, one important note to make is that our bodies do not possess a way to excrete iron. Keep in mind, healthy metabolic systems prevent iron overload by reducing absorption, rather than increasing excretion. However, unlike normally functioning systems, iron metabolism is broken in hemochromatosis. Sometimes mildy, sometimes severely. 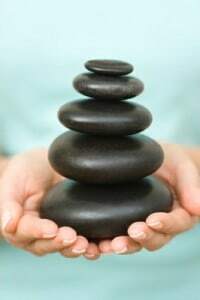 Balance is essential for our health and for our return to health. 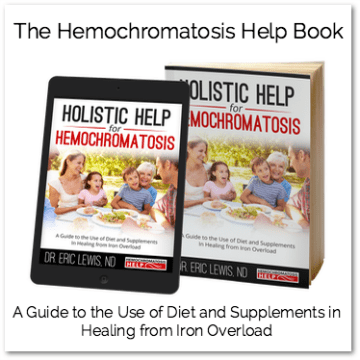 My site is dedicated to information about the health challenges and consequences of Hereditary Hemochromatosis, or iron overload. Yet, I find it very important to talk about iron and its critical (and beneficial) functions in the body. Primarily, iron helps us to build red blood cells and transport oxygen and nutrients to the cells as a component of hemoglobin. Considering the basic mechanism for cells, organs, and systems of the body to create energy is dependent upon iron and the proteins that bind iron… well, it’s a critical component of health! Educating yourself about what iron is and how it works in the body is a key element to understanding your condition. Iron deficiency anemia is an extremely common condition. Primarily affecting women, I have seen numerous individuals struggle to make it through their day because they just cannot seem to muster enough “oomph” to get through their daily activities. When really bad, iron deficiency symptoms can get scary. Anemic is truly the best word to describe the scenario. I’ve seen the ashen, gray, lifeless color of skin characteristic of iron deficiency anemia. Children are not even immune to this condition… I’ve seen a 6 year old boy whose hair was falling out due to being deficient in iron. Fortunately, I’ve also seen people return to their healthy life once they were properly diagnosed with iron deficiency and the correct therapy was suggested. For those low in iron, it is a major “difference maker”. These concepts are important for a number of reasons. Central to the theme of this website, is the fact that the major therapy for hemochromatosis– therapeutic phlebotomy– is to induce an iron-deficient state. Understanding when we’ve gone too far with the reduction of iron is very much a part of the therapeutic balance we are seeking. We can know this best by understanding what the health benefits of iron are, as well as the symptoms of iron deficiency. Iron overload curiously produces some of the same symptoms as iron deficiency. How we accumulate too much iron is a totally different story, of course. When iron metabolism is in a healthy balance, the body will actively reduce the absorption of dietary iron if it senses an increasing burden. However, this feedback loop is broken in hemochromatosis. Once excess iron begins to build in the body, the burden of oxidative stress increases. Free iron is a “pro-oxidant” and can damage the functionality of a cell or cause cellular death. Hemosiderosis is another long-term complication of the buildup of too much iron. * Plus: delicious, iron friendly recipes! Dr. Eric is a Naturopathic Physician who also has hemochromatosis. With his unique perspective of being both a practitioner & patient, he provides a new understanding about the best nutritional strategies to support health with hemochromatosis. He is the author of Holistic Help for Hemochromatosis, a guide to the use of diet and supplements in healing from iron overload. 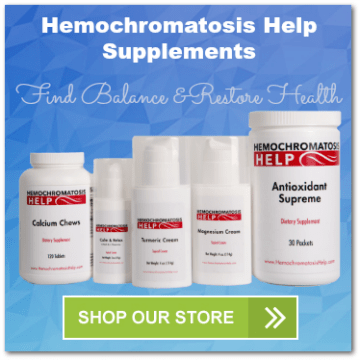 Hello, and welcome to my site about Hemochromatosis! My name is Dr. Eric Lewis, and I am a Naturopathic Doctor. And just like millions of Americans and individuals from around the world, I have hemochromatosis, or iron overload disease.